Houston lower and upper back pain patients should feel confident in knowing that there are alternative solutions to ongoing chronic pain that is often debilitating. 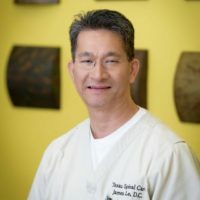 Dr. James Le and the expert team at Texas Spinal care have helped many people in he Houston area with a wide range of conditions that are fully treatable through all that chiropractic has to offer. By simply correcting imbalances naturally, this premier Houston chiropractor has made a big difference in the lives of many. Achieving relief from pain due to injuries caused by automobile accidents, sports related accidents, slip and fall accidents, and a host of other situations is what this outstanding Houston chiropractic care provider has been doing for many years. In our attempt to ensure the highest quality service for you and our Chiropractors we decided upon this process. After filling out the form we call Dr. James Le and then connect you into the call, ensuring you don't end up speaking with an answering machine.